Cutthroat Rick - 5 Stars - First ever podcast review..... Until recently I had been an intermittent listener since episode one. I'm not intermittent any more. It took the interview with Michael Bane to get me to post a review. Wow. That guy is amazing. Here are the pros (imho anyway): - I love witty repartee between Shawn and Eva. They could not be more different but they have a ton of chemistry. One thing. I can't figure out exact nature of their relationship. Are they a couple? Friends? Or are they simply just a well matched pair of hosts. There is nothing distracting bit I am curious. - the guests are a varied group who tend to be very interesting. - I like the other segments as well. Gear talk is usually worth a listen. - they have great senses of humor. Now for the rest.... I sadly have to confess the prank calls aren't my cup of tea. Nothing against them but they are not my kind of way to get a snicker. Give two or three shows a listen and see if they don't grow on you as much they did on me. Bye-Falicia - 5 Stars - Much Better - I have been listening since the beginning. At first I wasn't so sure, but Ava has improved and found her podcasting mojo. As for Sean, he has a face for podcasts, but his prank calls are pretty funny sometimes. I do like how industry professionals are brought on and asked relevant questions. When is Tac-Tickles going to be a co-host? Her prank calls would be epic. 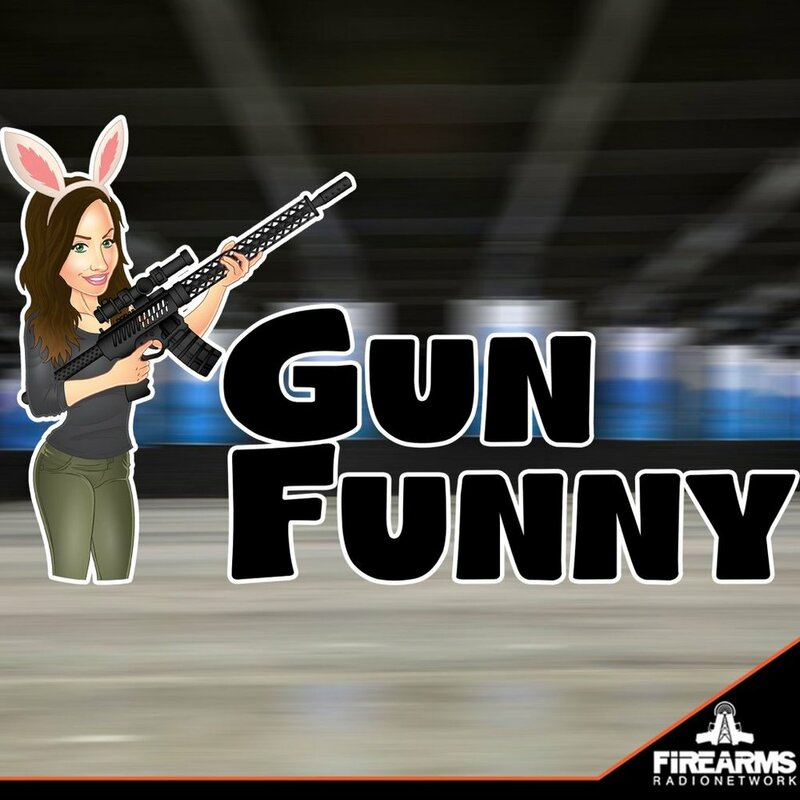 If you are looking for a decent, almost normal, firearms podcast, Gun Funny is worth checking out. Come on Episode 171!!!!! LANA!! !- 5 Stars - Since you need some iTunes love as well - Awesome show! Ava is great, Shawn is okay, haha! No he’s good too, but honestly I stopped listening to the other podcasts because I’m catching up on this one. Plus the discounts are better. Love all the people from the industry they have on. It’s awesome to hear from the different companies, you kind of feel like you know them once the shows over. The prank calls are hilarious but honestly I want to hear more from Gertrude. Loved the buying ammo instead of milk and eggs, what an ungrateful husband, haha. Keep up the good work. I also became a patreon, I suggest everyone else do the same.